For the past 30 years Pete has kept animals privately and professionally. Although he has kept many species of Reptile, Amphibian and Mammal, his favourite group of animals is the Insects. Their diversity in appearance and behaviour means that there is always something new and surprising to discover. 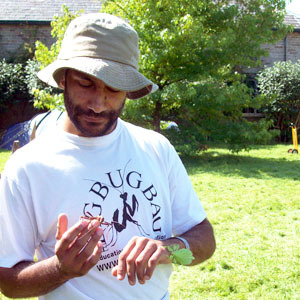 He has spent many years working in the conservation sector in South West England. Pete is trained as an Ecologist and in theoretical and practical Nature Conservation. 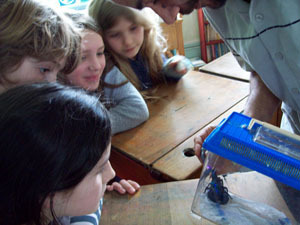 Pete’s understanding of natural history has lead to him working on a number of programmes for the BBC Natural History Unit including "Springwatch" and "The Nature Of Britain". Pete is also a qualified Playworker and has run two After School Clubs in Bristol.